Copyright Now - Protect your works! And What is Involved in the Copyright Registration Process? Entertainment and Sports Attorney, Desha L. Jackson - explains the copyright process in detail. Watch the video to learn more about the copyright process and what you need to know to protect your works. 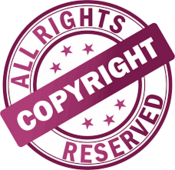 What's Included in your copyright registration Package? We see you through the entire process until you receive your Copyright Certificate in your hand. **Processing can take 8 months to over 1 year if your do it yourself! Why wait? We can get it done in a matter of weeks.